What happens when there’s a hole in the boat? You are here: Home / Acts / What happens when there’s a hole in the boat? Imagine this scenario; You and some friends go out on the lake for a lazy Saturday afternoon. There’s not really a plan in place. The goal is just to hang out with each other. Maybe I’ll do some fishing, perhaps I’ll lay out and get a suntan, maybe I’ll just jump in the water and cool off for a little while… you think to yourself. Unfortunately, you don’t get a chance to pursue any of these, because a small panic is starting to develop on the boat. The frenzy increases as everyone realizes the boat has a leak. There’s no way around it, the lazy afternoon on the lake turns ugly because the boat is going to sink! Yes, this is a made-up scenario. I made it up to demonstrate a point, so don’t try to think your way out of the problem. It may be that you are an excellent swimmer and couldn’t care less if the boat is going to sink, because you are confident in your ability to swim to shore. Or perhaps you went to the lake in order to splash around in the water. Therefore, a boat sinking only made your reason for going to the lake come to pass. Just imagine for a minute that you’re on a boat with your friends in the middle of a lake, when the boat begins to sink. One small hole can present a major problem for everyone on the boat. This scenario reminds us, when it comes to living life together, we’re all in the same boat! The church is like a boat at sea. When everyone is serving together, the boat stays afloat. When everyone is pulling on the oars and doing their individual jobs, well the boat makes great headway. 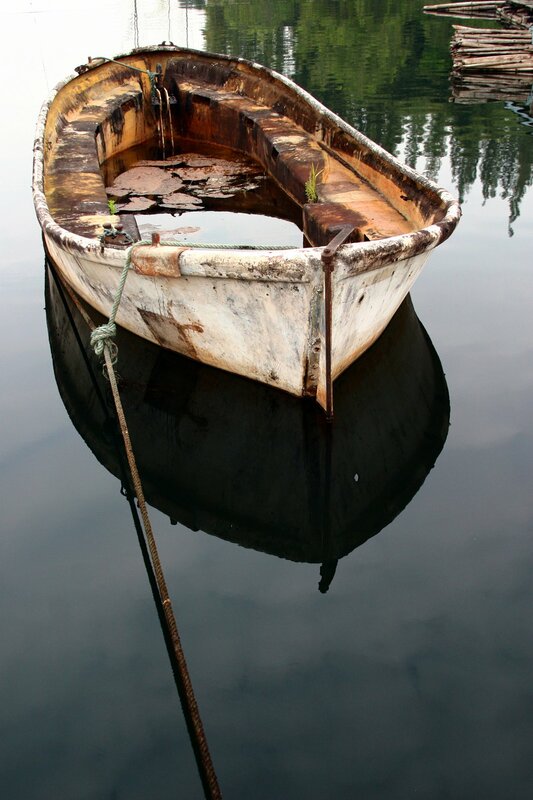 When you join a church, you are joining a boat that is already afloat. You are putting your spiritual condition in the hands of others. You are being given the privilege of influencing someone else’s spiritual condition. I believe every member of a church should serve in some meaningful way. I also believe that every member of the church should be served in some meaningful way. One simple hole puts everyone on the boat in jeopardy. The opposite is also true. When one person plugs a hole, everyone’s life is better. This idea is most clearly seen when there is a vacancy on a team. A problem like this came up in the first chapter of Acts. In Acts 1:12-14 everything is going awesome- or so it seems. In these three verses it appears that the infant church is strong. There is a sense of unity. People are getting along like brothers and sisters (and not fighting over each other’s toys. Any parent knows that this is a miracle). Doesn’t it seem strange to you, then, that in Acts 1:21-22 Peter urgently insists on finding a person to take the place of Judas Iscariot? I think Peter is saying, “Hey guys, we have a hole in the boat. We need to plug this hole immediately.” Peter understood Jesus’s mission to take the gospel to the ends of the earth. Perhaps Peter understood that, in order to accomplish this mission, it was going to take everyone working together. One hole puts everyone in jeopardy. Please keep the story in mind the next time you’re serving in some obscure area in the church. Maybe you feel like nobody notices you. Perhaps you feel like your service is not important. Nothing could be further from the truth! God always sees your service. Perhaps other people see your service also but just don’t mention it to you. Every hole… even the smallest hole… can sink a ship given enough time. God placed you in his church to fill an important purpose (Romans 12:4-8). Figure out what that purpose is, and with all of you might serve like the church is depending on you… Because it is! The post What happens when there’s a hole in the boat? appeared first on Calvary Baptist Church.